In the foreground the votive lantern of Kayadera temple (榧寺, which translates into “Japanese nutmeg temple”) is extending outside the frame of the image. 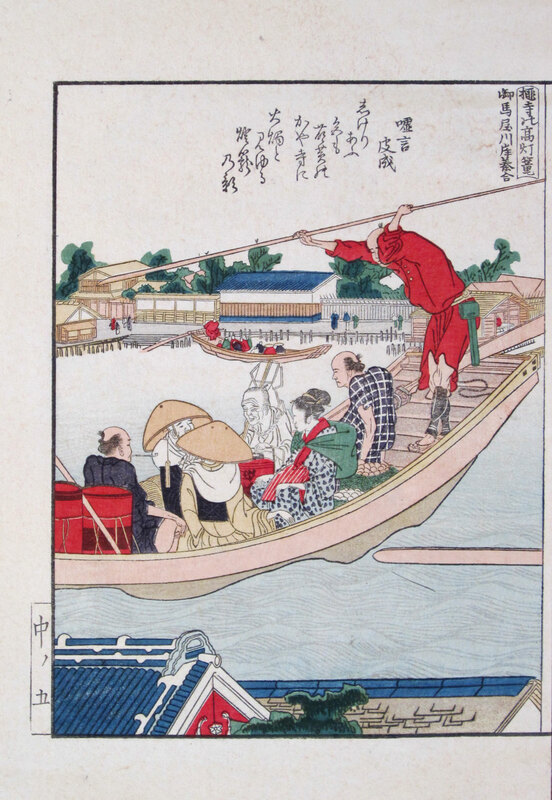 A ferry with seven passengers has just left the Onmaya west bank (御馬屋, meaning “horse stable” - referring to the fact that the shōgun once had horse stables here) of the Sumida river at the quarter of Miyoshichō (三好丁), and is heading for the quarter of Ishiwarachō (石原丁) in Honjo on the east bank of the river. 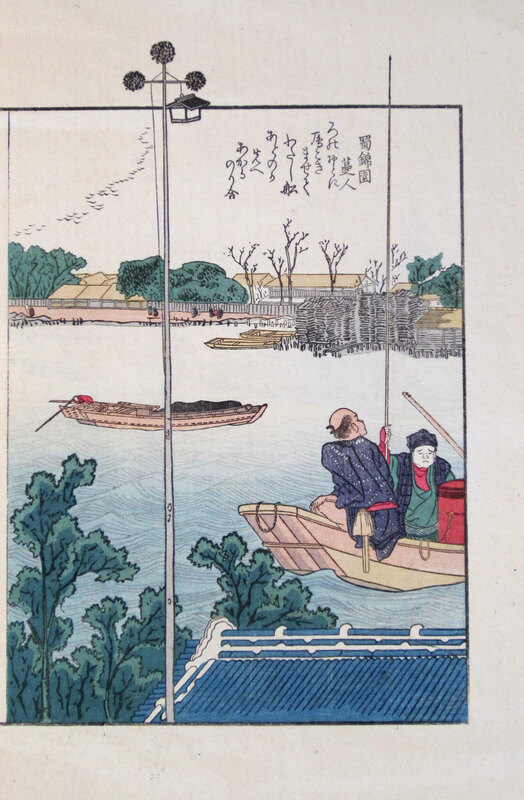 One of the passengers on this ferry boat is a bird-catcher with his long, lime-covered pole also extending outside the frame of the image. In the further distance another ferry with ten passengers is seen making the reverse trip from the quarter of Ishiwarachō on the east bank to the quarter of Miyoshichō on the west bank of the river. 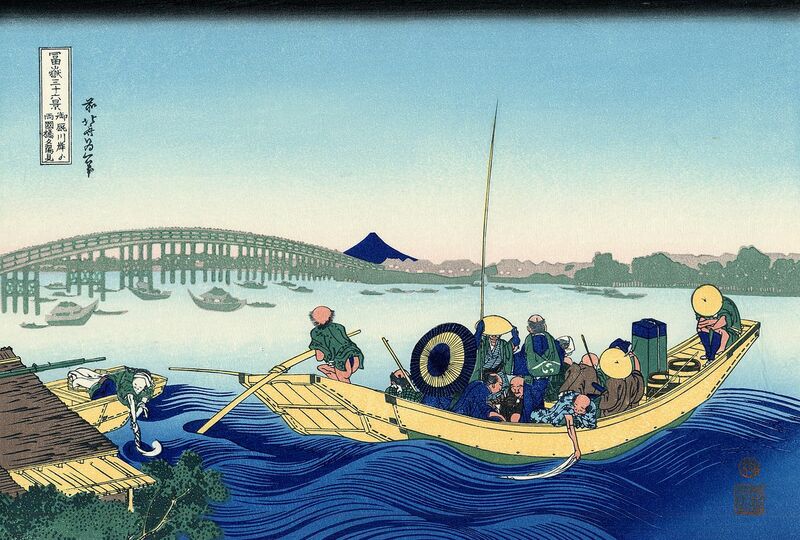 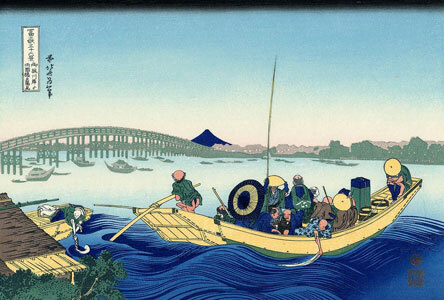 In the end, Hokusai “only” made it to the age of 89, and passed away in 1849.